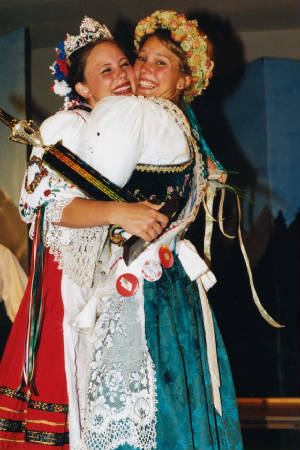 Andrea Kassik, Oklahoma, of Yukon, OK was crowned the 1999-00 Miss Czech-Slovak USA Queen. She will further her education at Central Oklahoma University with a goal of Interior Design and Business Management. She is the daughter of Sue and Tom Kassik. In addition to the national queen title, Andrea won the Americanized costume award. 1st Runner Up was Paula Svaty, Kansas Bohemian Belle. 2nd Runner Up was Mary Kostrubanic, OH who also won the National Talent award. Anna Balkova, Florida won the authentic costume award. Anne Smisek, Minnesota won the English Talent award. Jennifer Chleboun, Nebraska Heritage queen was chosen as Miss Congeniality. 1999 was the first year for two Talent Categories and two Costume Categories. This was the first year the contestants stay at the Historic Wilber Hotel. 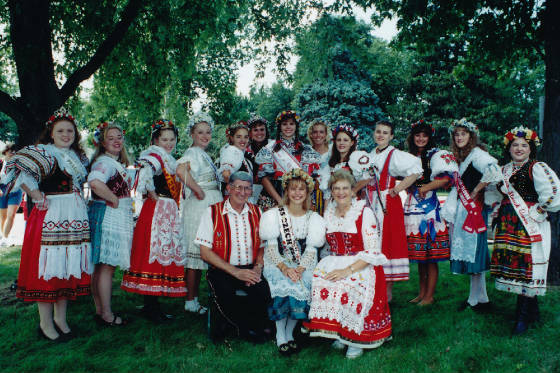 This was the first year contestants wore state crowns at the national competition.